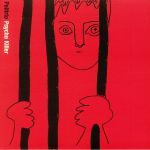 Review: The latest dusted down archival dig from Emotional Rescue is by Politrio, a short-lived new wave / post punk band from Italy who released one album in the mid 80s. The focus of this release is their cover of Talking Heads' "Psycho Killer," which originally appeared on the Amnesty International P.E.A.C.E Benefit Compilation in 1987. It's a wild take full of rampant guitar wailing and limber slap bass that teeters towards the 80s funk rock of Faith No More et al, and that's no bad thing at all. On the B side of this 7" Double Wave gets busy in the edit, offering up a stripped back version for the spinners.